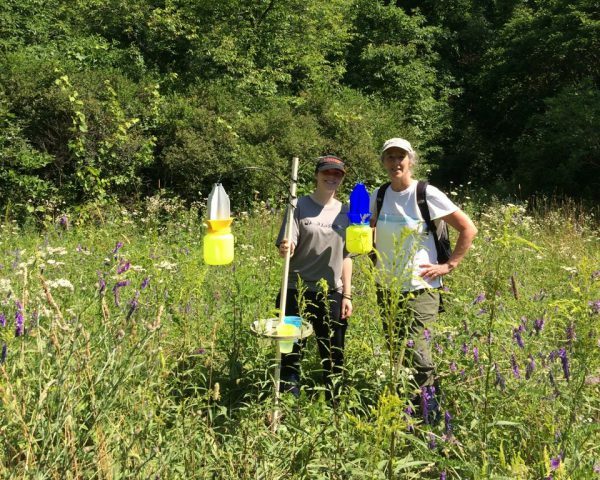 Alexa Dulmage ’21 (left) is among the students who help Kalamazoo College Biology Professor Ann Fraser (right) support pollinators and sample bee diversity at Lillian Anderson Arboretum. Kalamazoo College Biology Professor Ann Fraser is hoping to create some buzz with her latest project at the Lillian Anderson Arboretum. an information campaign that will encourage southwest Michigan residents to use fewer pesticides, especially in their yards and homes. Erik Funke ’19 helps Biology Professor Ann Fraser support pollinators and sample bee diversity at Lillian Anderson Arboretum. 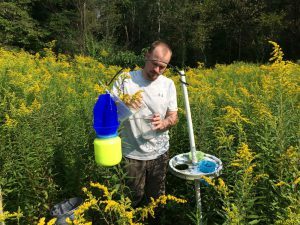 The rest of Fraser’s project, supported by Kalamazoo College, will develop protocols for bumble-bee monitoring that K students and local citizen scientists can use at nature preserves through collaborations with the Southwest Michigan Land Conservancy. Fraser said about 465 types of bees are native to Michigan including nearly 100 at the arboretum. “This will help us develop some long-term monitoring so we can record populations year after year to spot declines as they’re beginning to happen,” Fraser said, noting that these studies involve wild bees, not bees maintained in hives. That means it’s important to maintain food supplies and nesting areas rather than hives. 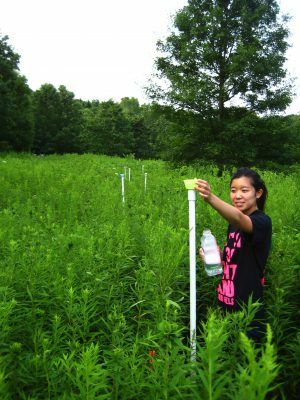 Aya Abe ’16 was among the students who helped Biology Professor Ann Fraser support pollinators and sample bee diversity at Lillian Anderson Arboretum. 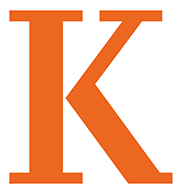 Fraser has been a professor at K since 2003. She normally teaches introductory biology, entomology, animal behavior and chemical ecology courses, although she is taking a two-term sabbatical. With that time, she will study similar successful projects executed through schools such as the University of Wisconsin, University of Minnesota and the University of Illinois. Fraser said other projects have also grown locally, including one last year along Drake Road in Oshtemo Township. Part of Fraser’s research will examine whether the Lillian Anderson Arboretum project benefits pollinators by continuing to survey bee populations pre- and post-habitat enrichment. Her own teams will start preparing areas at the arboretum for planting this spring and summer before planting begins in fall. Community members and students looking to contribute to educational, awareness and research efforts should stay tuned for more information on how to volunteer as plans develop. This entry was posted in News Stories and tagged biology, faculty, students, . Bookmark the permalink.